Betsy Duzan has a passion for teaching and creating art. She teaches visual arts at Maxwell in the afternoons and spends her free time painting with oils and pastels in her home studio or outdoors as weather permits. Betsy displays her landscape and seascape paintings on her website at betsyduzan.com and occasional local exhibits. She enjoys reading, visiting museums, and traveling anywhere she can spend time with family members who live out of town. Betsy is certified in art with endorsements in Elementary Education and Early Childhood Education. 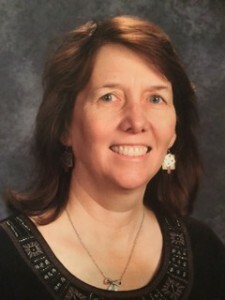 She received her elementary and art teaching degrees from the University of Northern Colorado, and her master’s degree from the Art Institute of Boston. Betsy inspires her students to combine new skills and their creative ideas to become independent artists who joyfully create works of art that communicate personal meaning.